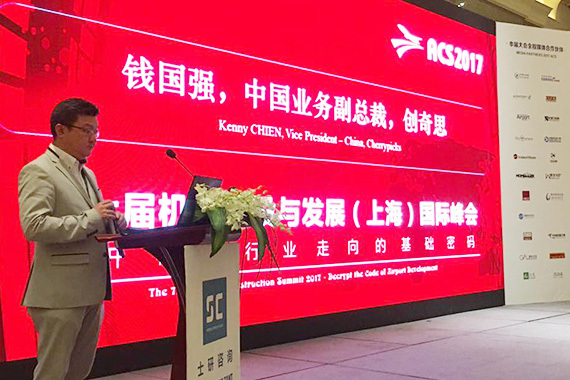 [Shanghai] Kenny Chien, cherrypicks’ VP, China, invited to speak at The 7th Airport Construction Summit (ACS) 2017 in Shanghai, China on 11 May. Kenny spoke on building a Smart Airport through data based services. He discussed using iBeacon technology to provide proximity sensing and location intelligence services to enhance user interaction. iBeacons can also be integrated with AR technology to provide multi-language real-time signage translations to visitors in their native language. Beacons are also the most efficient approach to generate traffic data and contextualizing the data to make customer service and marketing planning more effective.